One of the most important companies in the controversial phosphate business in Western Sahara is ending its involvement. Innophos Holding's exit might lead to the US totally terminating its decade-long imports from the occupied territory. "As part of Innophos’ commitment to overall social responsibility and good corporate stewardship, Innophos will no longer indirectly participate in a raw material supply chain which sources phosphate rock from the Western Sahara region in Africa, an area from which the Company has not directly purchased raw materials for more than three years", Innophos Holdings wrote in a press release on 2 July 2018. The decision could lead to another massive blow to Moroccan government, in that phosphate rock that it illegally exports from Western Sahara to North America will come to a complete stop. In its report P for Plunder 2016, published in April 2017, Western Sahara Resource Watch (WSRW) for the first time reported that Innophos most likely is the main client of the only importing factory in the United States of phosphate rock originating from Western Sahara. WSRW drew the conclusion by referring to a pipeline that had been constructed between the factories of the importer PotashCorp (now renamed to Nutrien) in Louisiana and the purchaser Innophos. The pipeline transports phosphate derivatives from the first to the latter. "We are also subject to risks stemming from local social and political conditions in those jurisdictions where the phosphate rock that supports our operations is sourced. The phosphate rock that it utilized by PCS to supply MGA to our Geismar, Louisiana facility is subject to those social and political conditions in Western Sahara, where PCS sources the phosphate rock, which territory has had a long history of social and political upheaval. If PCS is unable to source phosphate rock or sufficient amounts of phosphate rock, our MGA supply would be disrupted and our ability to manufacture our products could be materially adversely affected", Innophos wrote last year. The fact that Innophos is ending its purchases of such rock will have large consequences for the involvement of the one importing into the US: Nutrien. A likely scenario is that Nutrien will end its imports to the US altogether, even though a decision has not yet been announced. Nutrien has twice this year hinted that something like that might happen, in continuation of its decision to also stop importing Western Sahara rock into Canadian from late 2018. During an investor conference on 25 January 2018, the President and CEO of Nutrien, Mr. Chuck Magro stated that a decision regarding its imports to the US (to the legacy company PotashCorp) will be announced "certainly by the middle of the year". This promise was repeated by Nutrien in a statement to Business and Human Rights Resource Centre (BHRRC) on 15 June. The new statement says that the decision will be made "before the fall". The full statement from Nutrien to BHRRC, by the Nutrien representative Richard D. Downey, reads: "Nutrien is a new company as of January this year and the recent merger has created opportunities, particularly for the phosphate business. One of these opportunities is, we will see a significant reduction in our need for offshore imports of phosphate rock. We announced we will be (sic) convert our Redwater phosphate facility to an Ammonium Sulphate facility and will increase production at our existing underutilized facilities in the U.S. which have their own integrated rock supply. As a result, the large majority of our phosphate rock imports from OCP will be eliminated later this year. There is still a small amount of phosphate rock that is required for the Geismer, GA facility. A decision on the need to import rock for this facility is expected after a review of our end product customer needs which is expected to be complete before the fall this year." The claim that the imports to Geismar is "small" echoes the comment made by Nutrien's President and CEO, Mr. Chuck Magro, on 25 January 2018. Mr. Magro had stated the volume of the Geismar imports to constitute "a little bit". However, that is not correct. The imports into the Nutrien (ex-PotashCorp) plant in Geismar has been massive. From WSRW's daily monitoring of ship traffic, it has been established that the Geismar imports have constituted 2,04 million tonnes from 2012 to 2017, at a value of 250 million USD. All of the proceeds have been ending up in the treasury of the Moroccan government, occupying Western Sahara. The people of Western Sahara have been systematically protesting the trade. The details of each shipment can be found in the WSRW reports P for Plunder for the years 2012-2013, 2014, 2015, 2016, 2017. A number of international investors have blacklisted Nutrien and its customer Innophos for taking part in the dirty trade, while several of the importers are realising the legal risk involved, following landmark judgements in the Court of Justice of the EU, and the arrest of a phosphate transporting vessel in South Africa in 2017. "We congratulate Innophos in its important decision to halt the sourcing of conflict minerals in Western Sahara. The people of Western Sahara now anticipates the decision of Nutrien with keen interest. Considering that Nutrien now sees its main or only client in US end, we expect Nutrien to no longer be involved in any sourcing of phosphate rock from Western Sahara from the end of 2018. If the Geismar plant stops its purchases, it would mean that the decades-long imports into the US will have come to a complete stop. 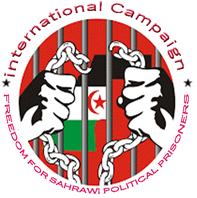 This is fantastic news for the Saharawi people", WSRW coordinator Sara Eyckmans said. Western Sahara Resource Watch sent its latest letters to Nutrien on 21 February 2018 and on 28 May 2018 and to Innophos on 3 March 2017 and 1 March 2018. None of these four letters was responded to. A Mexican subsidiary of US registered Innophos Holdings was previously an important and long-term direct importer of Western Sahara phosphate rock. But since 2015, WSRW has not observed any shipments to Innophos' plant in Coatzalcoalcos, Mexico.